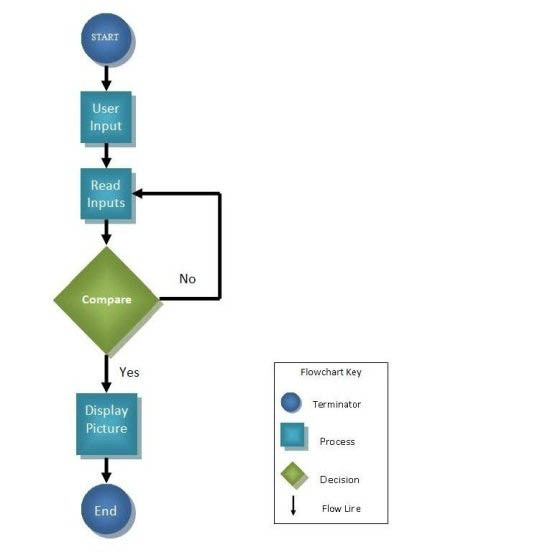 This software flow chart demonstrates the process the program goes through when data is entered by the user via the sensor glove. Testing glove. 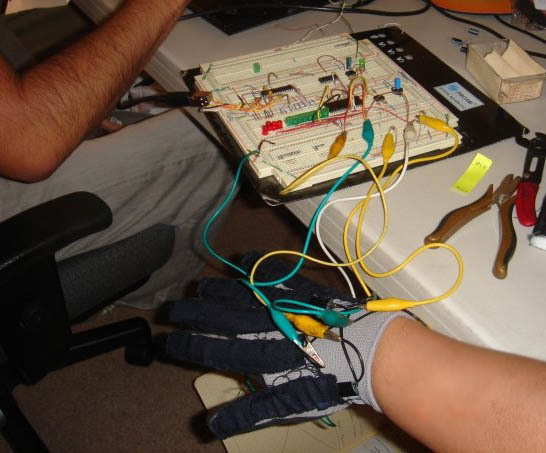 The prototype glove uses CAT6cable because it is shielded cable and thus resists interference from electromagnetic anomalies better than unshielded cable. Also CAT6 cable has 8 wires, making it ideal for this project. 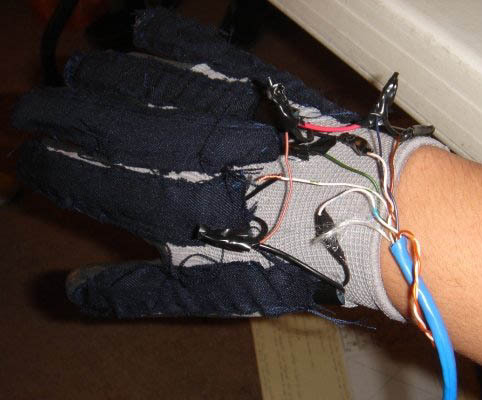 The Flex Sensor glove fully hooked up for testing.